Google has found itself in hot water for something they claim to be an honest mistake and oversight. Owners of the company’s popular Nest Guard (the centerpiece to their Nest Secure home alarm system) have recently discovered a microphone hidden in the guts of the device. The microphone wasn’t mentioned in the product’s specification sheet, which has creeped out consumer groups around the country and the world. 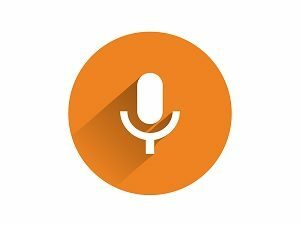 Google claims that their intention from the beginning was to incorporate Google Assistant functionality into the design. In a statement given to Business Insider, reported in an article published in The Verge, a spokesperson from the company said, “The on-device microphone was never intended to be a secret and should have been listed in the tech specs. That was an error on our part.” This of course would necessitate the presence of a microphone, making their failure to mention it nothing more than an oversight. Unfortunately, consumer groups don’t seem to be finding that explanation convincing, which explains the push back the company is suddenly getting. The microphone is now listed on the company’s website. To be fair, Google Assistant functionality would be a superb addition to Nest Secure, but people should be aware of what precisely they’re getting when they open their wallets and buy a new product. Especially given the fact that there have been a number of high-profile instances where data captured by microphones embedded in a variety of consumer products has already been mishandled and misused. It ultimately doesn’t matter how many people would or wouldn’t have made the purchase had they known about the presence of the microphone. The central issue is that they purchased a product without realizing it could be used to record them. These days, privacy concerns are increasingly on everyone’s mind and with good reason. Every day, what remains of our privacy seems increasingly under attack. Innocent oversight or not, this was an unnecessary invasion of that privacy, and advocacy groups are justified in calling the company out for it. If you don’t yet own a Nest Secure, but have been considering buying one, be aware. There’s a microphone embedded in it.